In the last exercise before the course officially started today we were asked to design a threshold to Design 101 and comment on it. Here is door to enter the course. Today started with another great video, like the one Design 101 applied for the MOOC Production Fellowship contest and made it under the top 10 courses. The video definitely attracted my attention so I gave the course my vote and signed in on iversity.org the German MOOC platform that I introduced in the first part of my series MOOC around the World that I wrote for MOOC News & Reviews. 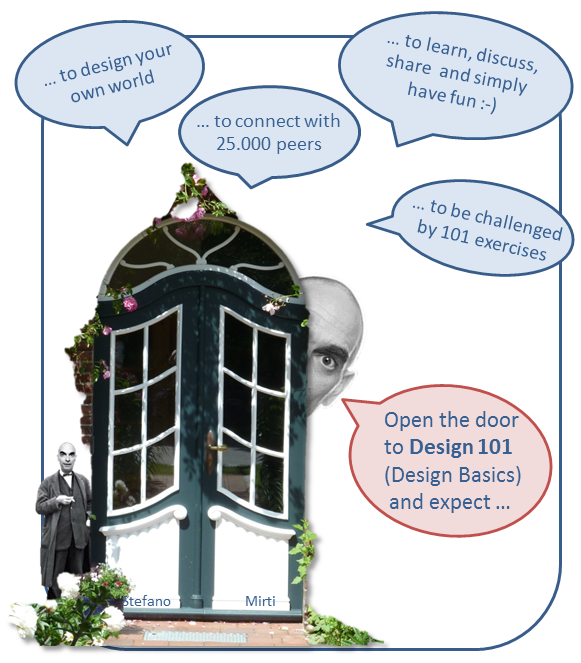 About 27.000 other participants seems to be similar attracted to Design 101 led by Stefano Mirti. “We need to learn to organize our time. Controlling time is the best way to reach Sunday fine and dandy”. Well, let’s hope for the best and that I am capable to organize my time. But, I am in cheerful spirits, because the MOOC is far from ordinary. 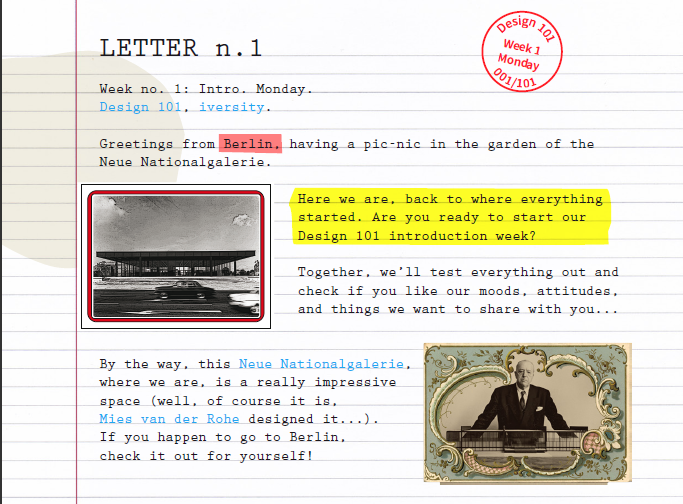 The postcard-video’s are extraordinary, so are the letters and even the e-mails are exceptional. Take a look yourself at the extract from our first letter we received. I never thought that the font Courier New and a ruled paper can look so good and can be used in such a creative way. So much creativity is infectious and you simply have to join in. There is still time for you to join in as well. Course language is English.